For the American music recording company within the Sony corporation, see Sony Music. Sony Music Entertainment (Japan) Inc. (株式会社ソニー・ミュージックエンタテインメント, Kabushiki gaisha Sonī Myūjikku Entateinmento), often abbreviated as SMEJ or simply SME, and also known as Sony Music Japan for short, is Sony's music arm in Japan. SMEJ is directly owned by Sony Corporation and independent from the United States-based Sony Music Entertainment due to its strength in the Japanese music industry. Its subsidiaries including the Japanese animation production enterprise, Aniplex, which was established in September 1995 as a joint-venture between Sony Music Entertainment Japan and Sony Pictures Entertainment Japan, but which in 2001 became a wholly owned subsidiary of Sony Music Entertainment Japan. It was prominent in the early to mid '90s producing and licensing music for animated series such as Roujin Z from acclaimed Japanese comic artist Katsuhiro Otomo and Capcom's Street Fighter animated series. Sony Music Entertainment Japan was officially incorporated in March 1968 as a Tokyo-based 50/50 joint venture between Sony Corporation and U.S. conglomerate CBS to distribute the latter's music releases in Japan. The company was incorporated as CBS/Sony Records and with Sony co-founder Akio Morita as president. Norio Ohga was part of the management team from the formation of the company and served as president and representative director since April 1970. In 1972, when CBS/Sony was generating robust profits, Ohga was named chairman and at the same time gained further responsibility and influence within Sony. He would continue to work for the music company one morning a week. In 1980, Toshio Ozawa succeeded Ohga as president. In 1983, the company was renamed CBS/Sony Group. In January 1988, after more than a year of negotiations, Sony acquired CBS Records and the 50% of CBS/Sony Group that it did not already own. In March 1988, four wholly owned subsidiaries were folded into CBS/Sony Group: CBS/Sony Inc., Epic/Sony Records Inc., CBS/Sony Records Inc. and Sony Video Software International. The company was renamed Sony Music Entertainment (Japan), Inc.
Shugo Matsuo was named new president in January 1992, replacing Toshio Ozawa, who was appointed to the post of chairman. Overall sales for the fiscal year ending March 31, 1991 were 83.8 billion yen with a pretax profit of 9.2 billion yen. In June 1996, Ryokichi Kunugi became the new president. Shugo Matsuo was named chairman. 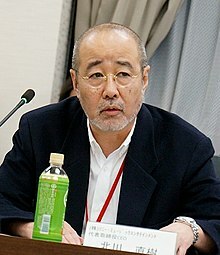 Shigeo Maruyama was appointed to the new post of CEO on October 1, 1997 and replaced Kunugi as president in February 1998. As of 2007, Naoki Kitagawa is the current CEO of the group. In May 2018, SMEJ acquired a 39% stake in the Peanuts comic strip franchise from DHX Media. Sony Music Entertainment announced the launch of its first video game publishing label, Unties, in October 2017. Unties will publish indie games for the PlayStation 4, PlayStation VR, Nintendo Switch, and PC. The name was selected by Sony as representative of helping to "unleash" the power of independent video game development and "unshackle" such developers from the traditional video game publishing process. Unties’ first release was Tiny Metal, a turn-based tactics video game developed by Area 35, for the Nintendo Switch, PS4, and PC. The game was first premiered at PAX West Indie Megabooth. Published Azure Reflections, a side-scrolling bullet hell developed by Souvenir Circ., on May 15 2018 for the PS4. Published Touhou Gensou Wanderers Reloaded, a roguelike rpg developed by Aqua Style, for the PS4, Nintendo Switch, and PC. Published Necrosphere, a platformer developed by Cat Nigiri, for the PS4, Nintendo Switch, PC, and PSVita. Published Midnight Sanctuary, a VR/3D Novel game developed by CAVYHOUSE, for the PS4, Nintendo Switch and PC. Published Tokyo Dark, a visual novel mystery adventure hybrid developed by Cherrymochi, for the PC. Published Chiki-Chiki Boxy Racers, an arcade racing game developed by Pocket, for the Nintendo Switch on August 30 2018. Scheduled to publish on Last Standard, a 3d action game developed by I From Japan, intended for PC. Scheduled to publish The Good Life, a daily-life rpg developed by White Owls Inc., for the PS4 and PC. Scheduled to publish Merkava Avalanche, a 3d cavalry warfare action game developed by WinterCrownWorks, for the PC. Scheduled to publish Olija, an action adventure game developed by Skeleton Crew Studio, for the PC. Scheduled to publish Deemo Reborn, a music rhythm and urban fantasy game developed by Taiwanese studio Rayak, for the PS4 with PSVR support. Scheduled to publish Giraffe and Anika, a 3d adventure game developed by Atelier Mimina, for the PS4, Nintendo Switch and PC. Scheduled to publish 3rd Eye, a 2d horror exploration game, based on the Touhou franchise, for the PS4, Nintendo Switch, and PC. Scheduled to publish Gensokyo Defenders, a tower-defense game developed by Neetpia, for the PS4 and Nintendo Switch. The company's leading role on the Japanese market was increasingly challenged by labels such as Avex (where SMEJ formerly owned 5 percent of shares). Net sales for the fiscal year ending March 31, 1997 were down 10% to 103 billion yen, while net income fell 41% to 7.7 billion yen. The market share at that time was less than 18%. In August 1997, Dreams Come True, until that point Sony Music Entertainment Japan's best-selling act, signed a worldwide multi-album deal with competing U.S. label Virgin Records America. Since then it was said that SMEJ ceded to Avex's challenge, but SMEJ bounced back and regained leadership from its indie rival until 2012. SMEJ netted 22.4 billion yen for 1H 2012 and 14.3% of the market, second behind Avex (24.95 B yen, 15.9%). Ariola Japan – Formerly known as BMG Japan until October 2009. OKeh was launched in 1994 and headed by Sony Music deputy president Hiroshi Inagaki. Sony Music Direct - founded as Sony Music House in 1996. Continues to use "Walking Eye" logo. Sony Music Marketing – Oversees distribution of labels which have a distribution contract with SMEJ. Formerly known as Sony Music Distribution until 2014. ^ "Sony Japan not part of BMG merger plan-Bertelsmann". Forbes.com. November 15, 2003. Archived from the original on 2007-11-14. Retrieved July 21, 2006. ^ Corporate History | Aniplex | アニプレックス オフィシャルサイト. Aniplex. Retrieved on 2018-01-04. ^ "Acquisition of Shares in BMG Japan Inc. by Sony Music Entertainment Japan Inc. (Japanese)" (PDF). Sony Corporation. October 2, 2008. Retrieved December 31, 2009. ^ Kimio Kase, Francisco J. Sáez-Martínez, Hernán Riquelme: Transformational CEOs: Leadership and Management Success in Japan. Edward Elgar Publishing, 2005, ISBN 1-84542-046-2. Page 16. ^ "Sony and the Modern Age". Archived from the original on February 17, 2001. Retrieved 2017-09-14. CS1 maint: BOT: original-url status unknown (link). Sony Music UK, Retrieved on August 6, 2006. ^ CBS/Sony Records is Established in First Round of Capital Deregulation. Sony History. Retrieved September 15, 2010. ^ John Nathan: Sony. Houghton Mifflin Harcourt 2001, ISBN 0-618-12694-5. Pages 146-147. ^ John Nathan: Sony. Houghton Mifflin Harcourt 2001, ISBN 0-618-12694-5. Page 147. ^ The Joy of Creating Something New. Sony History. Accessed September 17, 2010. ^ The Acquisition of CBS Records and Columbia Pictures. Sony History. Accessed September 27, 2010. ^ a b Steve McClure: Sony Music Names Matsuo to Head Label in Japan In: Billboard, February 8, 1992. Page 4. ^ Attorneys Launch Entertainment-Focused Firm In: Los Angeles Times, May 3, 1996. Accessed September 17, 2010. ^ a b Steve McClure: CEO Maruyama Steps Up as New SMEJ President. In Billboard, February 28, 1998. ^ "Sony Music Entertainment Japan pays $185m to buy 39% in Snoopy cartoon company Peanuts - Music Business Worldwide". 14 May 2018. ^ Phillips, Tom (October 17, 2017). "Sony to release indie game on Nintendo Switch". Eurogamer. Retrieved October 17, 2017. ^ "A new Sony label's publishing a Nintendo Switch game". Polygon. Retrieved 2018-11-21. ^ "Sony Publishing Label Unties Games Rains Bullet Hell Down on PlayStation 4 Today with Release of Azure Reflections". Retrieved 2018-11-21. ^ a b c d e f g h i j k l "Unties announces PAX West 2018 lineup - Gematsu". Gematsu. 2018-08-22. Retrieved 2018-11-21. ^ "Cat Nigiri". www.catnigiri.com. Retrieved 2018-11-21. ^ "The Midnight Sanctuary: Guide Side -Home-". www.carpefulgur.com. Retrieved 2018-11-21. ^ "Cherrymochi". www.tokyodark.com. Retrieved 2018-11-21. ^ "Chiki-Chiki Boxy Racers". Metacritic. Retrieved 2018-11-21. ^ "I From Japan". I From Japan (in Japanese). Retrieved 2018-11-21. ^ a b "UNTIES Games for everyone". UNTIES Games for everyone. Retrieved 2018-11-21. ^ "The Good Life". Kickstarter. Retrieved 2018-11-21. ^ "Merkava Avalanche[メルカバ・アバランチ]│OFFICIAL SITE". Merkava Avalanche[メルカバ・アバランチ]│OFFICIAL SITE (in Japanese). Retrieved 2018-11-21. ^ "Skeleton Crew Studio - Work". Skeleton Crew Studio. Retrieved 2018-11-21. ^ "ジラフとアンニカ Giraffe and annika ジラフとアンニカ公式 ３Dアドベンチャーゲーム". ジラフとアンニカ Giraffe and annika ジラフとアンニカ公式 ３Dアドベンチャーゲーム (in Japanese). Retrieved 2018-11-21. ^ "3rd eye". 3rd eye. Retrieved 2018-11-21. ^ Neetpia. "Gensokyo Defenders". neetpia.sakura.ne.jp. Retrieved 2018-11-21. ^ a b c Steve McClure: SMEJ's Other Announcements, "Komuro's Sony Deal Won't Hurt Avex Relations" - Maruyama. In: Billboard, February 28, 1998. ^ Virgin's Dreams Come True. In: Billboard, August 20, 1997. ^ Kana Nishino | CNN Travel. Cnngo.com (2009-12-11). Retrieved on 2013-07-16. ^ "Avex tops total sales ranking for the first half of 2012". Oricon. July 20, 2012. Retrieved August 15, 2012. ^ History | Company Information | Sony Music Group Corporate Site. Sme.co.jp. Retrieved on February 14, 2019. ^ a b Steve McClure: Sony Bows Two Japan Subsids. In: Billboard, October 15, 1994. Page 53. ^ ミュージックレイン. Musicrayn.com. Retrieved on 2013-07-16. ^ Sony Music Group Company Site - グループ会社情報. Sme.co.jp. Retrieved on 2013-07-16. ^ "72". S.M. Entertainment. Retrieved 2012-07-28. ^ Dancing Dolls Official Site. Dancingdolls.jp. Retrieved on 2013-07-16. ^ (in Japanese) デビー・ギブソン. SonyMusic. Retrieved on 2013-07-16. ^ (in Japanese) エリック・マーティン. SonyMusic. Retrieved on 2013-07-16.